Cord blood stem cells could cure blood cancer and HIV at the same time, thanks to a new clinical trial run by the Fred Hutchinson Cancer Research Centre in Seattle, Washington. Scientists at ‘Hutch’ announced their newest project last week, which will see 10 HIV-positive patients with blood cancer undergo cord blood transplantation. The news comes after Dr Filippo Milano, associate director of the Cord Blood program at Fred Hutchinson, was awarded a $1-million grant from the National Heart, Lung and Blood Institute to continue his research. How is cancer treated in HIV-positive patients? Currently, most HIV-positive patients who take antiviral drugs can receive regular therapy for common blood cancers. However, there are very few options available for those diagnosed with leukaemia – besides a blood transplant. In addition, many doctors consider blood cancer patients with HIV to have ‘active infections’, which means that they are considered to have a higher risk of complications from transplantation. As such, these patients often struggle to qualify for a bone marrow or blood stem cell transplant. Unlike bone marrow or blood stem cells, however, it is less likely that the patient’s body would reject cord blood. It therefore presents a safer option for HIV-positive individuals. What will the new cord blood clinical trial involve? The new trial will transplant patients with donated cord blood samples. The haematopoietic stem cells within these samples is capable of creating a new blood system. After engraftment, the patient will have a reconstituted immune system that is hopefully cancer-free. For this trial, scientists are specifically looking to find cord blood that carries a natural mutation that blocks HIV from infecting immune cells. 0.8% of people are naturally resistant to HIV, and so there is a 1-in-100 chance that a cord blood unit carries the mutation. As the cord blood transplant creates a new immune system for the patient, they should also inherit the donor’s immunity to HIV. 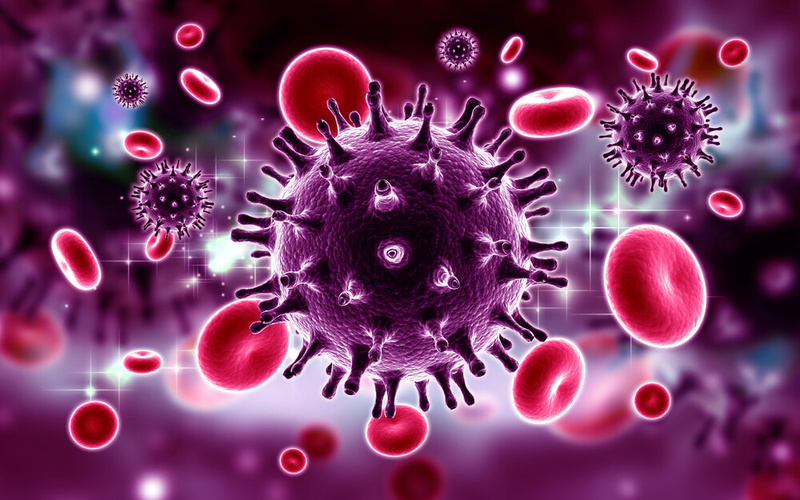 If this occurs, their new immune system would be able to eliminate any remaining elements of HIV which would otherwise have caused a problem if the patient stopped taking antiretroviral drugs. In the past, doctors have been reluctant to use cord blood for transplantation as cord blood stem cells can take up to two weeks to engraft. This Fred Hutchinson clinical trial hopes to overcome this potential shortcoming with an experimental product called dilanubicel. Dilanubicel protects the patient from infection until transplanted cord blood cells engraft, alleviating previous concerns. Only one person has ever been cured of HIV. In 2007, Timothy Ray Brown received 2 bone marrow transplants for leukaemia. Doctors used cells from donors with a HIV-resistance mutation in a gene that affects a protein called CCR5. 11 years later, his leukaemia is in remission and he has no identifiable traces of HIV.